Discussion in 'Forza Horizon 4' started by GTPNewsWire, Jan 17, 2019. This article was published by Gary Slater (@AudiMan2011) on January 17th, 2019 in the Forza Horizon 4 category. A franchise that keeps on giving. Both the Porsche 911 Carrera and 968 Turbo S are such amazing vehicles! Edit: Speaking of race. I managed to get it on my third try on the trial. Also got the helmet as well. Wearing these two items makes your avatar look like a rally driver. I freakin' love it!! I absolutely love the way the Carrera S looks, especially at the rear. I can't wait to get it out to take photos. ClydeYellow and adam thompson like this. Seconded, I think it's honestly one of the nicest handling cars in the game. Driving it fully stock around the Goliath is pretty damn fun. I can't pickup my shiny new Porsches. The game keeps telling me, that they are going to be released on January 17th. I already deleted and reinstalled my VIP addon, but it didn't work. What am I supposed to do? I can not find the car Pass as a single addon in my addons list to reinstall it. I'm on xbox. Found the car Pass in the xbox store and downloaded it seperately. It even showed, that it installed both cars, but I still can't get them ingame. Can't you download them from the Autoshow? I usually pick them up from the game pass menu in game. They're not shown in the auto show for me. Go to the "DLC Cars" section, and hit the button to claim all DLC cars you're entitled to. That's what I always do, and it has worked for me 100% of the time so far. Thanks for the tip. Doesn't work aswell. Both cars don't appear there. Maybe try deleting ALL of the game's DLCs, and reinstalling them? If you're on console, did you give it a full reboot too? I must be extremely lucky, because I've never encountered any of these bugs around claiming cars and stuff, but it seems like many have. Sorry to hear you're having trouble. I just deleted and reinstalled the whole game and all DLCs and guess what..... it didn't work. Did you do a hard reset by holding the power button for 5-10 seconds? Yes, I did but you already guess it, it didn't help. I just hope, that the problem fixes itself at this stage. That’s basically what happened with mine, actually. I’m habing the exact issue. Can’t get them no matter what I try. I’m all out of ideas. Just right now, I could pick both Porsches up, without doing anything. I won one of the seasonal challenges in the session before, so maybe this is what triggered the date check of the car pass... I don't know. Hey! I fixed it last night. For some reason the Car Pass uninstalled. I reinstalled it and the Porsche’s were available for download. I bought 2 extra 992’s. One I made into a Carrera 4 and the other will be a heavily modded 992. I might make it AWD depending on how it handles fully modded out. The first 992 will stay rwd with 500hp. 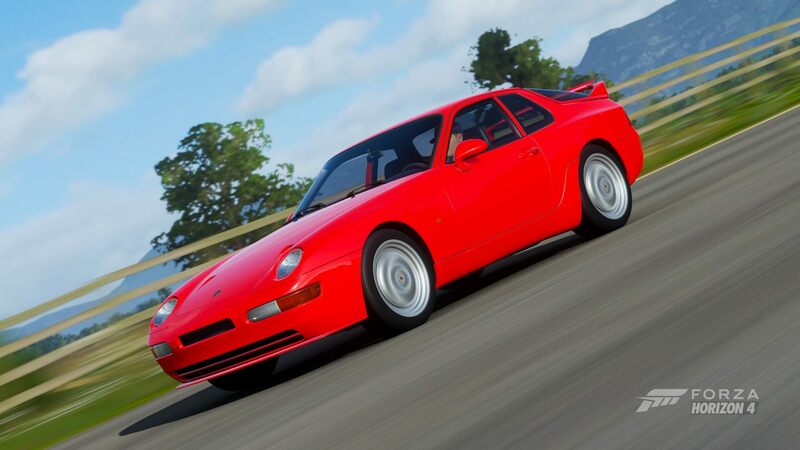 Love the new Porsche’s so far though. Thanks for your help as well. Thanks for posting this, I was already going nuts and checked that mine was uninstalled too for some reason. Reinstalling now, hope it works. I went through the same trouble until I finally managed to get the two cars yesterday. I tried to reinstall cars pass and shut down my system numerous times. Then it occurred to me that I should perhaps try unplugging my console from the socket after shutting it down and leave it there for some minutes. This may have done the trick as the cars then appeared in the Autoshow. I did this too, so maybe that did the trick. Hard to tell but it's weird. Unplugging the console is essentially the same as a hard reset, in which you hold down the power button for about 10 seconds. Is the hard reset different from a total shut down? I mean where the system boots with the Xbox logo on a green background. Yes, a hard reset is different than an outright shutdown. Pressing the button will just shut it down, but holding the button clears the cache as well(which also happens when you unplug it from a power source). It's a recommendation for most issues like this on Xbox. Finally able to get the Rip-Rod after seeing this post, kept failing with the '32 Ford. Step 3: Use Manual transmission (doesn't need clutch), turn OFF traction and turn OFF stability, ABS on or off (whatever you prefer). Step 5: Follow this Shift Timing: First shift at 30-35mph (48-56kmh) on tarmac and 25-30mph (40-48kmh) on the beach, All following shifts at 7,000RPM (or a split second before @ 6,900rpm so your revs don't start hopping). I shift a little sooner on the beach drag (6500rpm for 2nd and 3rd gear, 7000rpm for 4th, 5th and 6th). See times below to see if you are reaching optimal gear shifts. Step 6: Congratulations you won a Rip Rod. I won easily the first 3 races. The 4th race I got second, overall still won. Give it a try. According to RetroKrystal, they will not gift this one. We will not be gifting this. Also bare in mind that other players will most likely now be using the same/similar tune that you are. However, if you check these forums or reddit, there's been a few different tunes posted around which players have stated it's worked for them.